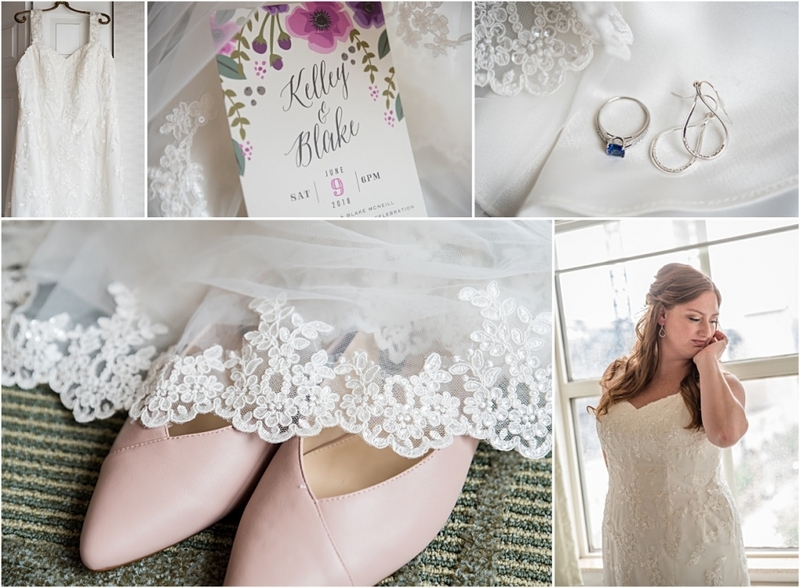 Kelley and Blake were married at the ever-so-lovely and ever-so-FUN Pittsburgh venue, The National Aviary. Renting out a National Aviary where you are surrounded by exotic birds, silly penguins, and baby sloths …. YES … I totally said baby sloths, you just cannot go wrong. Throw in a super laid back and fun couple, and you’ve got yourself one heck of a wedding. The National Aviary is in a great location in Pittsburgh. It’s within walking distance from the North Shore. PNC Park, the Roberto Clemente Bridge, the city line across the river, you name a spot, and it’s pretty much photo perfection for a city wedding. When we were planning the timeline for the day, Kelley and Blake opted for a first look. Let me re-phrase that … a first look on the North Shore. Enough said there, right?! I tell my couples that a first look is about the moment, not about the background. Quite honestly, I’ll photograph a first look in front of a dumpster and not even care a single ounce, because like I said, it’s about the moment. 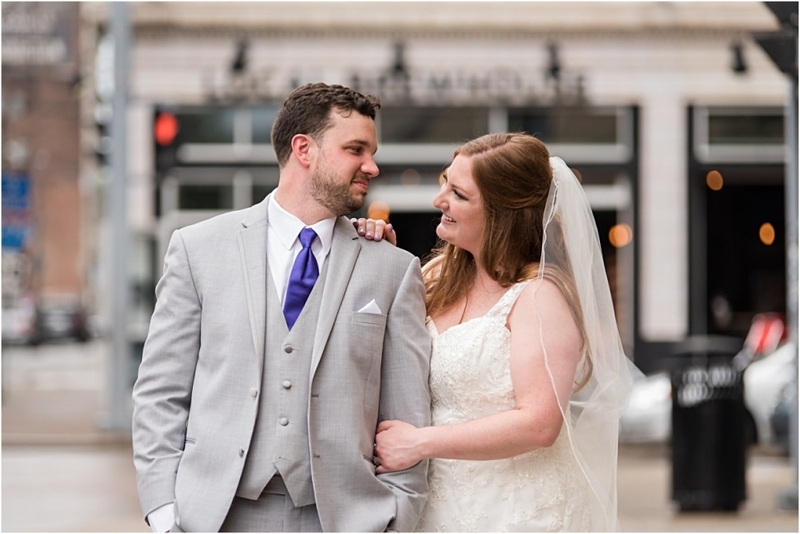 The BENEFIT OF HAVING A FIRST LOOK is portrait time before the ceremony, and so, having a first look on the North Shore in downtown Pittsburgh gave us some pretty incredible city shots. We dodged the rain a bit, but you’d never be able to tell from their photos. Oh, and let’s not forget to mention we had a pup in a bow-tie for some of the photos as well. Kelley and Blake’s wedding ceremony was held in the garden at the National Aviary. Nestled in the back, sharing space with the park, it’s the perfect location for a small and intimate wedding ceremony. Walking distance from the North Side, we were able to take some additional photos over in the park. 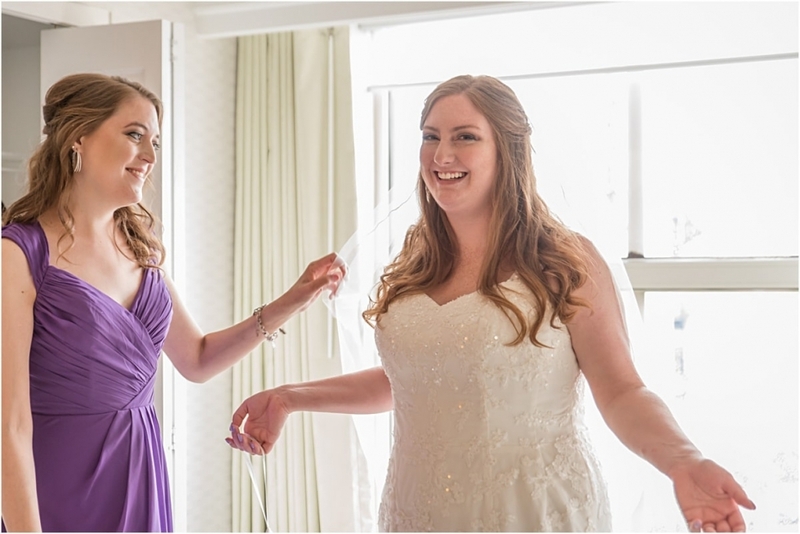 Being able to give a variety of looks in a wedding gallery is always a plus in my book. Always beautifully decorated, their reception space was elegant, simple, and lovely. Soft purple linens and white lanterns added so much charm. Kelley and Blake shared a first dance, but no cake cutting. They made up for the lack of cake with some pretty incredible gourmet cupcakes and LOTS of cookies. I’m pretty sure their guests didn’t even miss the cake with all the sugary goodness going on there.